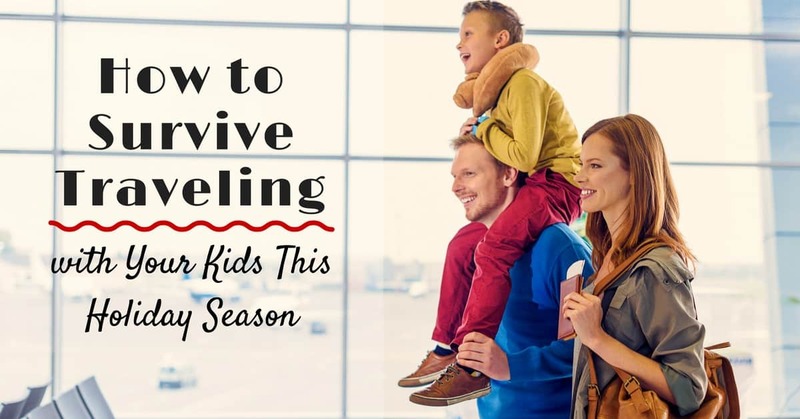 Just the thought of traveling with kids over the holiday break can be enough to make you scream, and the reality can be just as painful. Something that is supposed to be fun and exciting can quickly turn into a Griswold family vacation if you’re not careful. Whether you’re traveling with one child or four, by air or by car, this holiday season, you can find peace and tranquility on the way to and from your destination. The secret? Quality entertainment. There are two powerful strategies to employ for kids traveling by plane–a backpack full of fun and a tablet full of apps. When you know a plane trip is coming, stock up on a variety of toys and activities at the dollar store. This can include sticker books, invisible magic markers, puzzles, and anything age appropriate but not too messy. Pack up the bag, but don’t let them open it until they get on the plane. Sometimes, however, the activity bag isn’t enough, and that’s where a tablet comes in. Tablets are great because they offer a variety of learning apps, the ability to watch shows that no one else wants to watch on Netflix, and lots of games. Tablets such as the Kindle Fire are a great way to offer variety, control (using parental controls), and distractions. And with a pair of headphones, everyone gets to enjoy the ride. NOTE: DO NOT count on the WiFi working on the plane. Make sure you have apps that can run without Internet service. For any car trip, not just ones for the holidays, an entertainment storage area can be a lifesaver. You can use a plastic container or a car organizer to store a collection of odds and ends toys whether from McDonald’s, Target, or the Dollar Store. When the entertainment bin loses its luster, you may need to get out the big guns—portable DVD players. Pick a couple of fan favorites, grab a couple of new ones, and cue them up. Couple that with special “movie snack bags” and you have a mini movie theater, including some peace and quiet. While it’s easy to create entertainment for the masses, there’s one thing you need to keep in mind: motion sickness. Be prepared. Stock your car with gallon size storage bags or motion sickness bags and make a kit. Include things such as Febreeze, paper towels, a change of clothes, and anti-bacterial wipes. You won’t regret it. As with any traveling experience, keep your eye on the prize. While you may feel like you’re all trapped like fish in a tank, the trip will end, and you will get there. Plan accordingly, channel your inner Enya, and you’ll reach your destination without (major) incident. Have a great trip and happy holidays!